Good luck its awesome stuff! 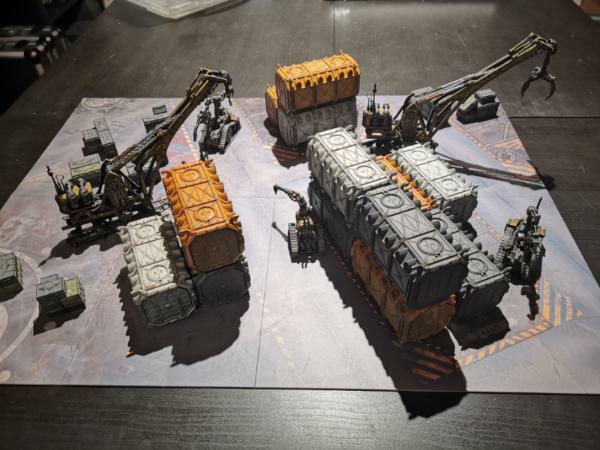 Built the bulk of the mechanicum terrain, waiting on another parcel to finish it off. Looks good so far. How many of the massive statues do.you get in the pack? The basilicanum has those two statues. 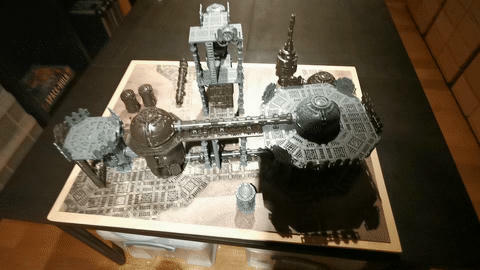 The KT box has the same contents as the basilicanum but swaps the statues for two extra sprues of ruins. I'm not sure if that's a shame or not. While extra ruins are nice and all, MASSIVE STATUES! The runs are a lot more useful for filing out a board. If this is your first terrain you definitely want the ruins. 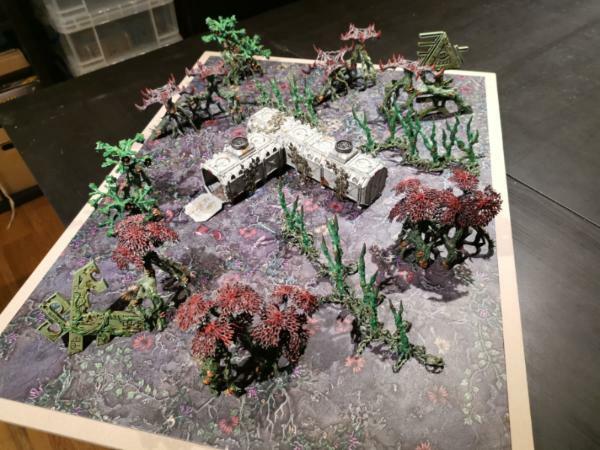 If anyone's wondering - the plan is to populate each kill zone from the contents of the kill zone box, the team boxes and one additional box of scenery. Kill Zone Death World Forest. I haven't used the second set of eldritch ruins from the Deldar team box - they are too distinctive to use multiples in my opinion. The pile of missions is starting to get a bit unweildy so I've made a spreadsheet for mission selection with all 69 missions so far. You can enter the killzone in use and the factions of the two players (remember to also tick none for both of those) and it'll show you all applicable missions and which book they're in (or if they're cards). You can also select which campaign mission they can replace and whether or not you want commanders as well. It badly needed more LoS blocking so I built a couple of abandoned vehicles from spares. Both have taken kill shots from some sort of directed energy weapon and the Russ has barrel droop (failed hydraulics). 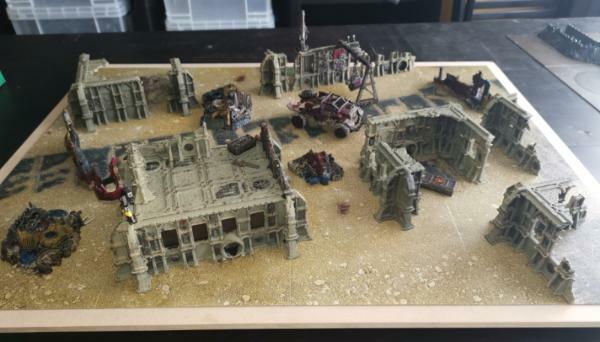 Kill Zone Munitorum is painted. Nice work. The containers are looking ace. 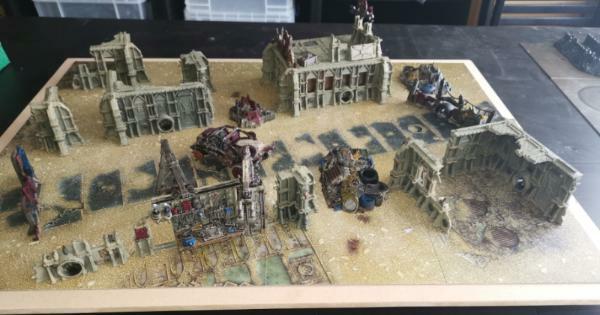 Could the little crates stand to get a wash or a drybrush to make them pop a bit more, or us it an artefact of the photo? You're absolutely right, they could do with a bit more attention but the easy ways of doing that make them look worn and/or dirty which wasn't what I was going for. 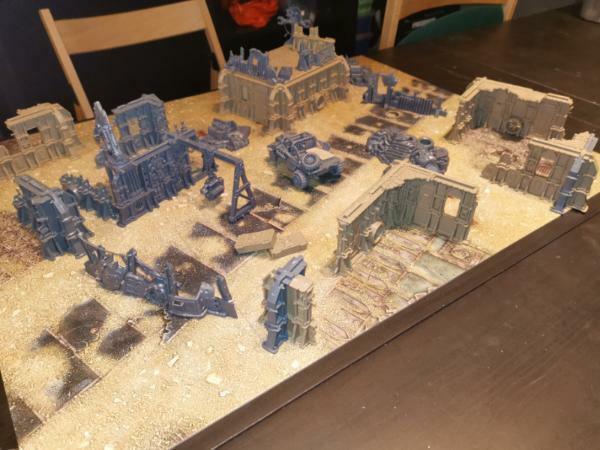 Two sprues of Ryza ruins plus the mekboy workshop fill out the kill zone nicely. Drill added to zone mechanicus and turntable board assembled. Wow that looks fun to build, good work. Looks great. You should post some action shots when you have them in use. Looks great as a set. The mekboy workshop set could have been designed to round out this kill zone. Just getting into kill team now so it's nice to see what you can do with all the kits. 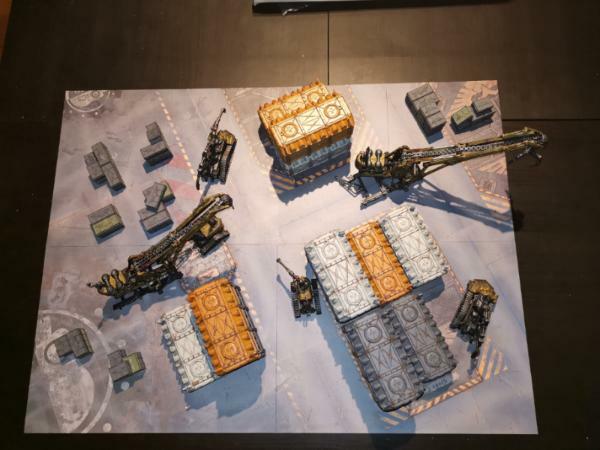 Love the way you've combined the killzones with the extra terrain kits. 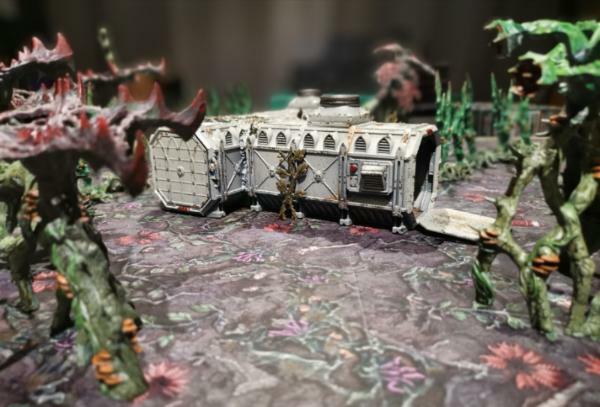 Check out my 40k projects! Make sure you grab any killzones you like the look of straight away - they sell out really fast! Yeah I like the look of all of them! 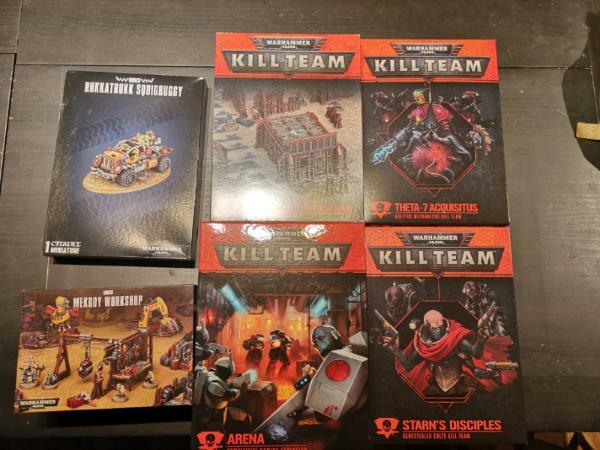 Managed to track down the starter box, sector munitorium and wall of martyrs on ebay but only got the board and rules for sector mechanicus. Will need to get the terrain sprues separately. Bought the deathworld forest direct already and getting the sector fronteris at the end of the month. If I'm honest going to grab the mek boy workshop as well after seeing it on here.